There are many opportunities to honor a loved one or commemorate a special occasion by making a memorial gift to the parish of St. Andrew. Prices range from $125-$20,000+. Some examples include pavers and bricks, statuary, Altar vessels, large furniture items (Tabernacle table, Narthex table, Vestry cabinetry, Deacon chairs, Server chairs, Sanctuary benches, Music area seating) as well as: Stations of the Cross, Sanctuary Lighting, Altar Cloths, Decorative hangings, Lavabo Set, Corporals and Purificators, Thurible, Aspergillum/Bucket and Funeral Pall, just to name a few. If you are interested in sponsoring any of these items or have a special interest in other items that might be used in our Liturgical celebrations, please contact the main office at St. Andrew at 770-641-9720. Consider memorializing a special person or event by requesting a brick or paver to be placed in front of the entrance to our church, located at the main entrance plaza. Click the link below to access the request form. Print the form and drop it off at the church office with your payment. Gifts can also be made via credit card or ACH using our On-line giving option. Contact Julie DeJarnette (jdejarnette@standrewcatholic.org) for more information or assistance. 770-641-9720, ext 229. 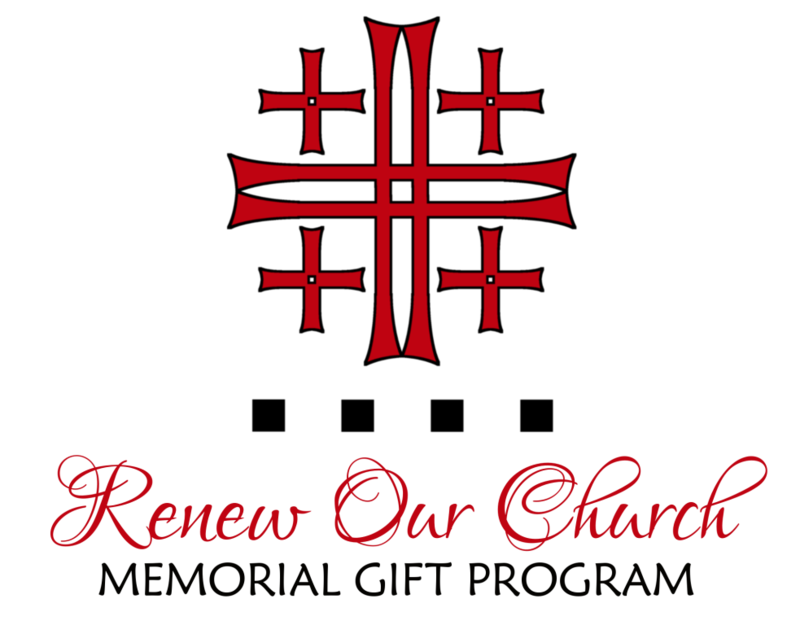 Coming soon is our Memorial Gift Program Catalog which contains many opportunities for our parishioners to honor a person, group or occasion with an enduring gift to our St. Andrew Church and parish family. You are invited to partner with other families or individuals in sponsoring a particular item. Please contact our bookkeeper, Julie DeJarnette at 770-641-9720, ext 229 with any questions.